IN JANUARY, the Hawker Beechcraft AT-6 became the fi rst fixed-wing aircraft to launch a laser-guided rocket during test fl ights at Eglin Air Force Base in Florida. 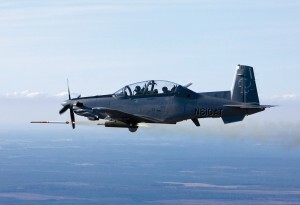 The weapons testing is part of an ongoing congressionally funded operational evaluation of the AT-6, executed by the Air National Guard and Air Reserve Command Test Center (AATC). 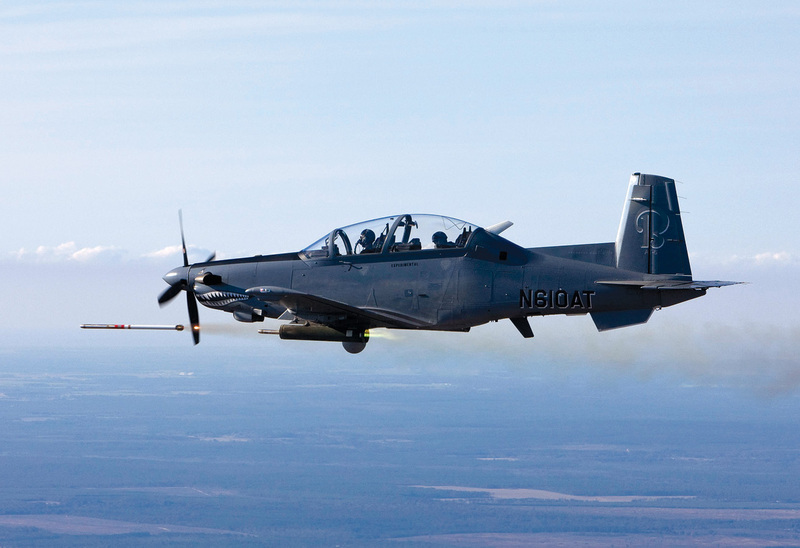 The AT-6 is a multi-role, multi-mission aircraft system designed to meet the needs for the emergent Light Attack mission. The AT-6 is powered by a Pratt & Whitney PTA 68D engine. The aircraft is outfitted with equipment including CMC Esterline’s mission modified Cockpit 4000, Lockheed Martin’s A-10C-based mission system and L-3 WESCAM’s MX-15Di sensor suite. The aircraft has successfully demonstrated full compatibility with U.S. and NATO Joint Terminal Attack Controller systems during the ANG Operational Assessment and Joint Expeditionary Force Experiment in 2010, a company spokesman said.